It will come as no surprise to anyone who’s visited Disneyland (excuse me, the “Disneyland Resort Theme Park”) that having fun is big business. The price of admission starts at $97.00 for the “value” ticket (midweek, rainy season), and climbs rapidly from there. It’s just as expensive to sit at home. Video and computer games generate more money than the movie and music industries combined. Gamers handed over $25 billion last year just in the U.S. Globally, computer and video games generated $100 billion in revenue. Nearly half of that spend came from Asia/Pacific countries, where gaming is a huge deal. The annual League of Legends World Championships was held in Beijing’s enormous National Stadium (aka the Olympic “Bird’s Nest”). The winners’ prize purse exceeded $3 million, and the broadcast attracted more viewers than the Olympic Winter Games held at the same venue. Pikachu is a bigger deal than Picabo Street. Cultural curmudgeons will say this is a sure sign of civilization’s decline; that we’ve devolved into slumping couch potatoes who spend our time chasing pixels and twisting joysticks instead of creating art, hiking nature trails, or feeding the hungry. But computer games are art. And unlike most plein air watercolors, it’s art that pays. There’s a reason so many big game publishers and their coterie of software developers are based around Los Angeles. It’s where the critical mass of music, art, and storytelling talent lives. When they’re not running from wildfires, these people direct game development, turning it into a different kind of narrative: an interactive kind of cinema. Good games are just as affecting as good movies. Plus, they’re easier to make. A friend who teaches at the University of Southern California (USC – go, Trojans!) says that game development is about 2% concept, about 20% art, and about 80% coding. Many first-time game developers get this backwards, he says. They think that coming up with an original concept – inventing a new game, essentially – is the hard part. Once they’ve thought out the game’s mechanics, they pat themselves on the back and think they’ve got it made. Now it’s just a simple matter of programming… right? Nope. That’s the easy bit. First-class games now require months (and sometimes years) of art direction, music composition and recording, texture mapping, and all the other artistic elements that give a game its look and feel. And that’s before a single line of code gets written. At this point, any game is still theoretical. It might as well be paper dolls performing in a cardboard box theater. Coding is the hard part, and that’s what so many aspiring game designers overlook. A computer game is still a computer program like any other. The machine doesn’t care whether it’s sequencing genomes, searching for extraterrestrial intelligence, mining bitcoin, or calculating the clipping boundaries for pixelated Martian invaders. In the end, you’ve got to code it right, and game mechanics are hard. This leads to a dichotomy in talent pools. The ones who are good at game design aren’t always very good at creating the artwork or the music, nor are they effective programmers. So, you wind up assembling a team of different people with different backgrounds and coax them into working together. Just like a real company! With so much Hollywood talent involved in games now, games aren’t any cheaper to create than movies. Back in the days of Pong and Space Invaders, the only costs were programming talent and late-night snacks. Now game studios pay well-known voice actors (Mark Hamill, Kevin Spacey, Ellen Page, Samuel L. Jackson, Gary Oldman, etc. ), famous musical composers, and first-rate motion-capture artists. 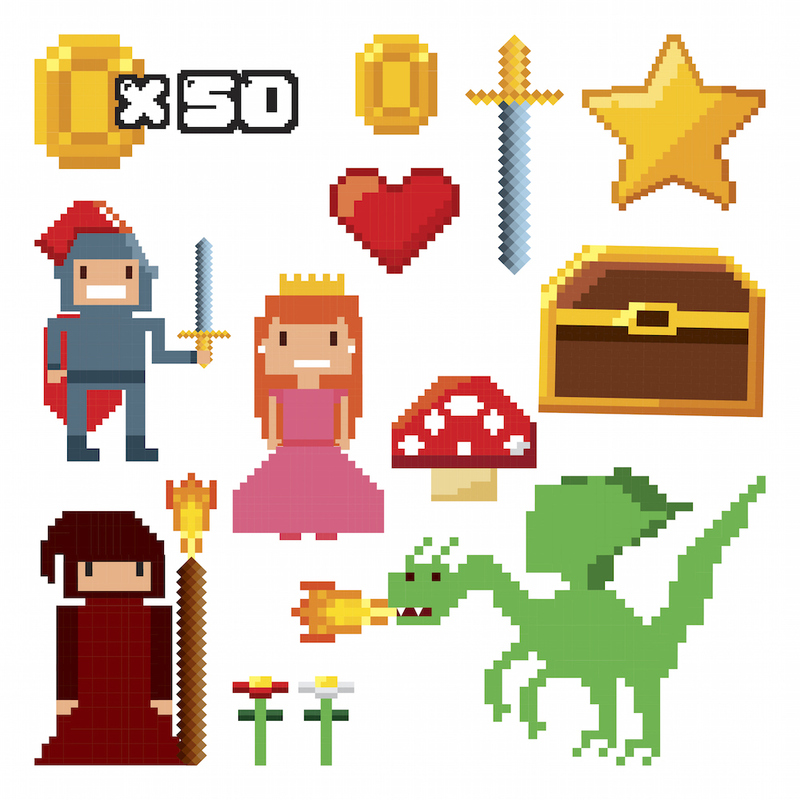 Game developers have job titles like Script Director, Associate Producer, and Art Designer. Where does the line between moviemaking and game-development lie? Does it matter? Where games and movies diverge is in their business models. Movie studios typically get paid through cinema rental fees (an indirect proxy for ticket sales), then again through subsequent video releases and international distribution rights. If you’re lucky – or you’re Star Wars – you also get licensing revenue from toys and other tie-ins. Game studios have a lot more options. The GDP-level sums of money involved are remarkable when you consider that many of the most popular games are free. That’s “free” as in “free beer,” meaning no cash outlay at all. How does that work? Who is going to spend millions of dollars and many man-years in development, only to give away the game for free? Quite a few developers, as it happens. There’s “free” and then there’s “free.” Like Facebook, some games only appear to be free because you’re not the one paying for it; somebody else is. Stated more cynically, if you’re not paying for the product, then you are the product. Third parties will pay to have their company’s brand logos appear in-game, or to collect a fee by processing any in-game microtransactions. Some are outright branding exercises, paid for by a consumer company and treated as a marketing expense. These business models are fairly rare, at least for now. More common is the free-to-play business model that encourages players to purchase small upgrades as they play. These might be $1 “skins” for your character or $2 “loot boxes” that confer some in-game advantage. Nearly every game developer and publisher has dabbled in this type of revenue stream, some with more success than others. Still other games are managed as a subscription, like magazines or cable TV channels, where players have access to the game so long as they keep the steady drip of monthly fees flowing. Think of it as the heroin-addict model: the first fix might be free, but it gets really expensive over time. Console games generate royalties for the console maker (e.g., Sony, Nintendo, or Microsoft), even if the company wasn’t involved in the game’s development. Unlike PC games, console games must be pre-approved and licensed, and that agreement includes a kickback to the hardware company on every game downloaded and every DVD sold. We can still purchase games outright, of course, and the going rate for first-class titles is about $60. That’s a lot more than your average $8.93 movie ticket, but then again, the game probably lasts longer. Is a computer game an average of 6.71 times more enjoyable than a movie? Depends whether you’re watching Batman v. Superman or playing Cuphead, I suppose. But the market statistics and the trend data say it is. As games become more like movies, and CGI-heavy movies a bit more like games, the divisions may eventually blur. We’ll just call it “entertainment” and happily hand over the $60. It’s still cheaper than Disneyland.